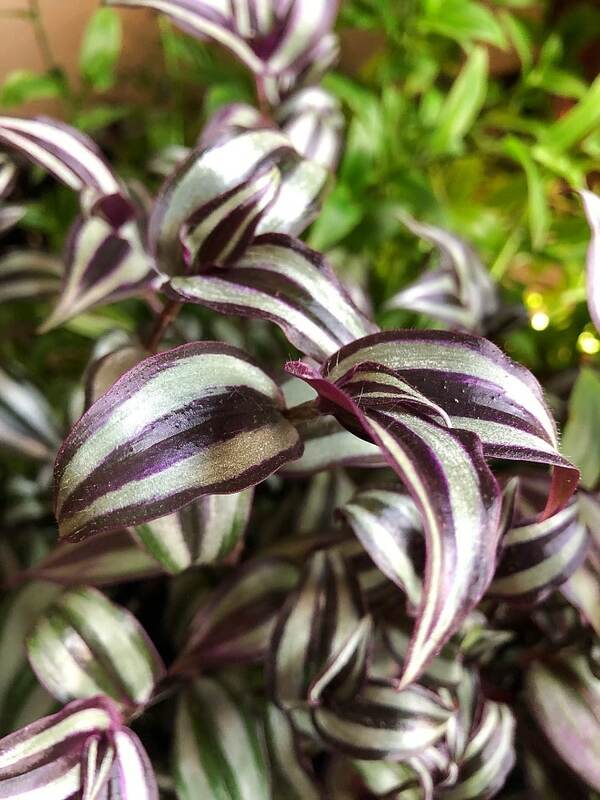 When it comes to houseplants able to brighten up indoor spaces, it doesn’t get much more colorful than the variegated foliage of a Wandering Jew plant (Tradescantia zebrina). With their hardy nature and ease of care, they are a perfect choice for those feeling they kill everything they bring indoors. We’ve listed a quick summary of their care below. How To Care For A Wandering Jew Plant: Grow your Wandering Jew in well-drained soil, kept moist but not soggy through regular watering. Create humidity, keep indoor temperatures between 50°F (10°C) to 85°F (29°C) and fertilize monthly. Continue reading because we’ve taken all the guesswork out of caring for your Wandering Jew and keeping it healthy and happy for years to come. Wandering Jew plants belong in the Commelinaceae family, which includes around 652 different species. The family is made up of herbs, climbers and several epiphytes, with some used as outdoor and indoor ornamentals like Wandering Jew. There are three different plants commonly known as Wandering Jews; Tradescantia fluminensis, Tradescantia pallida, and Tradescantia zebrina. 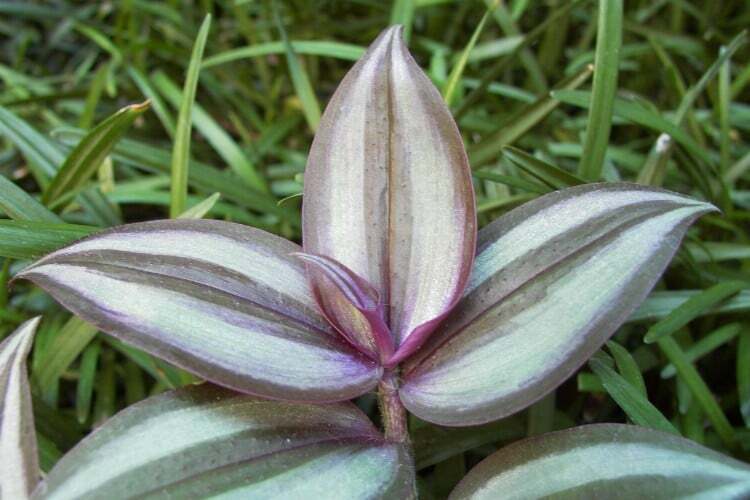 Of the three, Tradescantia zebrina is the most common one grown and has the most eye-catching and colorful foliage. 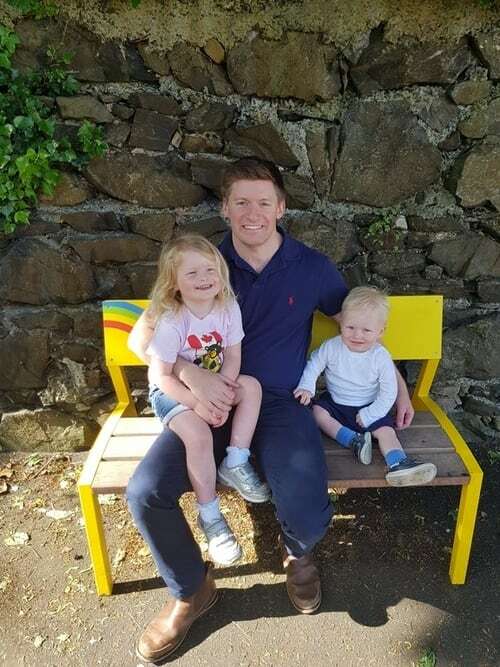 All three have the same requirements for care and good growth. Native to Mexico and Guatemala, Wandering Jew is classified as a tender evergreen perennial that performs well planted outdoors in frost-free regions. Those living in cooler environments can easily grow it as an indoor plant planted either in containers or in hanging baskets. Outdoors it’s typically used as a quick-growing groundcover. Although a common name shared with several very different plants, Wandering Jew is often called Inch Plant, due to the leaf margins being spaced about an inch apart. 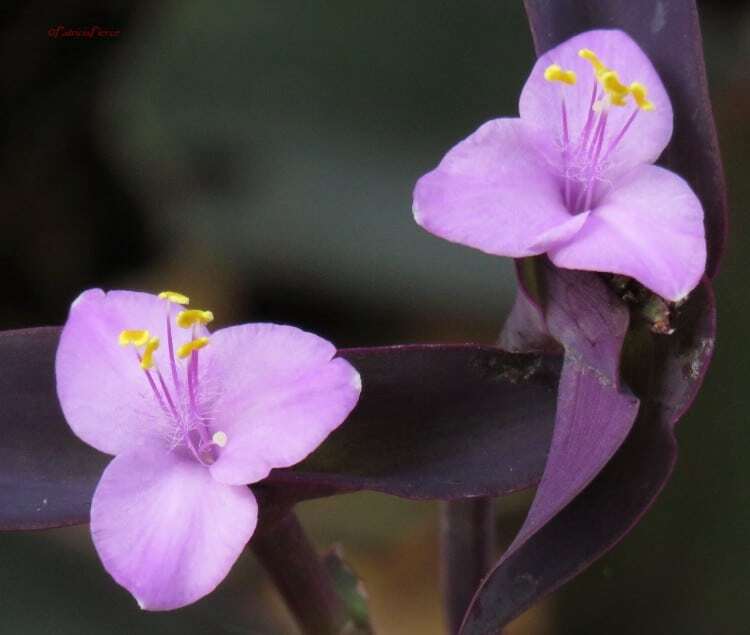 You may also find Wandering Jew listed as Zebrina Pendula, but is synonymous with Tradescantia zebrina and is the same plant. 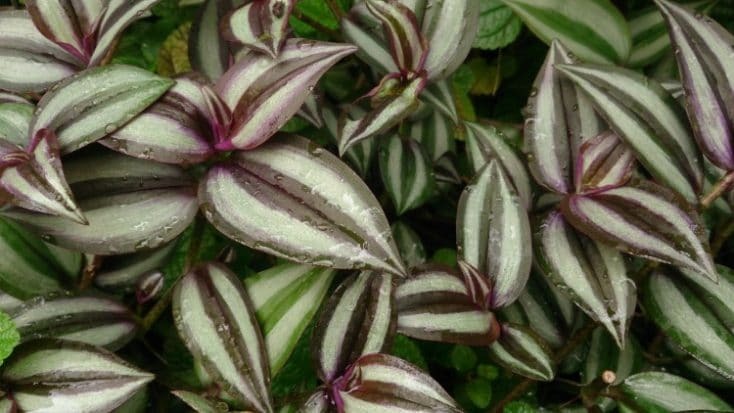 When it comes to Wandering Jew plants, it’s all about the attention-grabbing foliage. The succulent stems give way to leaves that are a deep purple on their undersides with the upper portion striped in silvery-gray and greenish-blue. The oval leaves grow to about 2.5 inches long and the stems grow about 2 feet long. It makes a beautiful plant used in hanging baskets, with the long stems cascading over the side. Even grown indoors, Wandering Jews have a fast rate of growth and before you know it, the plants will be spilling over your container’s or hanging basket’s sides. Whereas some indoor plants seem to take forever to fill out, this isn’t a problem with properly cared for Wandering Jew plants. ‘Purpusii’ has unstriped, hairy foliage that is either solid red or reddish-green. ‘Quadricolor’ produces metallic-green foliage striped in red, white and green. Wandering Jew plants are the ideal candidates for beginner houseplant gardeners due to their hardiness and robust growth. Below we’ve outlined all the basics of their proper care, as well as identifying and preventing any potential problems so you can enjoy your Wandering Jew for years to come. The best indoor plants are those that are happy and healthy. Wandering Jew plants tolerate growing in a wide range of soils provided they drain well. Although they do tolerate and prefer moist conditions, the soil must drain properly to prevent root and stem rot from occurring. Therefore, it is necessary to use a lighter weight soil mixture in your pots rather than heavier soils that don’t provide proper drainage. Straight potting soils are usually too heavy, retain too much moisture and have a tendency to leave the soil soggy. You can use a heavier potting soil in your soil mixture, just be sure to incorporate a lighter soil mix to provide the Wandering Jew the drainage required for healthy growth. Commercial potting mixes work well and many have a slow-release fertilizer mixed in, which cuts down on the need for frequent feedings. The slow-release blends usually continue to fertilize the Wandering Jew for about three months. Using equal parts of compost and a potting mix. Mixing equal portions of compost, peat and potting soil or a potting mix. Using equal portions of a course sand, compost and potting soil or a potting mix. Whatever soil you choose to use, just make sure it drains well and contains a bit of fertility for the best performance of your Wandering Jew plants. 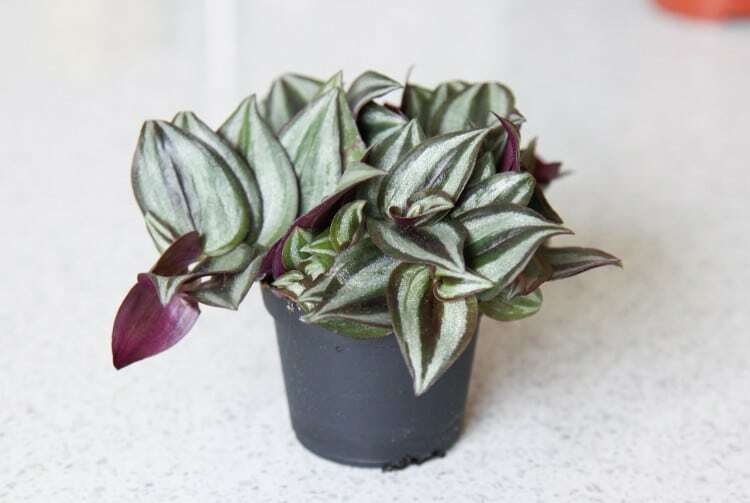 Although Wandering Jew plants tolerate lower light conditions than many houseplants, to help retain those striking colors the plant is known for, place the container in a location indoors receiving filtered sunlight. If your plant starts losing some of the color in the foliage, move it to a location that receives a bit more light. In addition, if the lower portion of the stems start suffering leaf drop, the Wandering Jew isn’t get enough light and needs to be relocated to a brighter area inside the home. Once the warm weather of spring arrives and if you’d like to give your Wandering Jew a bit of a break from its indoor location, place it in an outdoor spot that receives partial sun to partial shade. Moving it to an outdoor location with too much sun may leave the foliage sunburned. In the Wandering Jew’s native environment, temperatures are consistently warm without the threat of frosts or freezes. Generally, if the indoor temperatures inside your home are comfortable for you, they will also be comfortable for your Wandering Jew plant. Indoor temperatures between 50°F (10°C) to 85°F (29°C) are a good range for your Wandering Jew plants. Plants grown in this temperature range produce the healthiest growth. If you gave your plants a break from their indoor location, just make sure to bring them back indoors before the cold weather of winter strikes. Wandering Jews prefer soils that are regularly kept moist, not soggy, compared to many indoor houseplants. However, this doesn’t mean the soil should be kept so wet they never begin to dry out. Keeping the soil too wet for too long promotes rot to set in and you may end up killing your Wandering Jew plants. Your Wandering Jew is more likely to forgive you if you forget to water over watering too much and too often. Sticking your finger into the soil and if the top inch is starting to feel dry, water until it runs from the container’s bottom drain holes. During the warm growing season of spring through summer, you can probably expect to water once each week. However, during winter when the Wandering Jew goes into dormancy (its growth slows), you will probably only need to water about every other week. Compared to many tropical plants grown indoors, Wandering Jew plants aren’t quite as fussy about humid conditions, but still need some humidity for the best growth and performance. Don’t let the thought of creating a humid environment stress you out because replicating humidity for your indoor plants is relatively easy and basic. Fill a spray bottle with room temperature water and mist the Wandering Jew several times each week. If you’re growing the Wandering Jew in a container and not in a hanging basket, you can set the pot on a tray of pebbles. As you water, the water seeps from the bottom drain holes onto the tray of pebbles and as it evaporates, it creates a humid environment around the plant. If your bathroom gets the appropriate amount of light for the Wandering Jew, you can allow it to grow there. Due to the regular use of water in a bathroom, moisture is created, creating the humidity the Wandering Jew requires. Unless the soil mixture contains a slow-release fertilizer blend, which feeds the Wandering Jew for about three months, fertilizing monthly is sufficient for proper growth. You have several choices when it comes to fertilizer you can use for your Wandering Jew plant. Use a houseplant fertilizer applied at half-strength, applied when you do your regular watering. Use an all-purpose, water-soluble blend for outdoor and indoor plants, applied at half-strength and used during your regular watering schedule. If your soil mixture didn’t contain a slow-release fertilizer or it’s been about three months, if one was contained in the soil, you can reapply slow-release fertilizer granules sprinkled over the top of the soil. Follow the package directions on amounts. When it comes to the appropriate time of year to fertilize the Wandering Jew, only fertilize while it’s actively growing, which is spring throughout summer. In winter, the plant goes through a dormant stage and all growth slows, so there is no need to apply fertilizer. Wait until spring arrives before you resume fertilizing the plant. If the plant isn’t too big, you can take the entire pot to your sink or bathtub and allow water to run slowly through the soil for about five minutes, flushing out any salts. If the plant is too big for indoor flushing, take it outside and allow water from the hose to run slowly through the soil for about five minutes. Allow the water to drain and then bring the plant back indoors. The pruning needs of Wandering Jew plants are low. If you want to control the size of the plant and promote bushier growth, you can pinch off the tips of the stems. To keep the plant always looking its best, you can trim off any broken, dead or damaged stems and leaves throughout the year. When using pruning tools to trim your Wandering Jew always make sure they are clean so you don’t transfer any diseases or pests to your plant. This is as easy as wiping off the blades with alcohol. Some people experience skin irritations when handling the cuttings due to the sap, so if you are unsure if you are one of these unlucky gardeners, it might be best to wear gardening gloves when pruning or handling Wandering Jew cuttings. If you purchased your Wandering Jew already potted in a hanging basket or 1-gallon container, it should thrive as is for a year or more before it requires repotting. However, if you received rooted cuttings in smaller containers like 4- to 6-inch pots, you most likely need to repot them into something a bit larger so they can grow properly. This also cuts down on the need for repotting in a month or two as the Wandering Jew begins to outgrow its present pot. When it comes to the pot’s material, any type works quite well for growing this plant from clay to plastic. However, if you grow your Wandering Jew in a pot made of a porous material like terra cotta, the soil is going to dry quicker than if it was growing in a plastic pot. This means you will need to water more frequently. Once your Wandering Jew starts getting too big for its present container, it’s time to repot it into one that is around 1- to 2-inches larger. Although the plant likes a moist soil, make sure the pot has bottom drainage to prevent the possibility of rot due to conditions that are too wet. If you like, you can dress the container up by placing the draining one inside a decorative pot without bottom drain holes, but be sure to empty out any additional water once the inner pot thoroughly drains. I think a decorative outer pot can add so much to the beauty of your houseplants, so I do this with almost all of my houseplants. Read this article which discusses my favorite decorative planters if you need some inspiration. Gently remove the Wandering Jew from its present container, being careful not to break the succulent stems. Fill the new container that drains about a quarter of the way full with a fertile, well-drained potting mix. Check the Wandering Jew’s root system and if it’s growing bunched together and filled the previous pot, gently tease the roots apart with your hands. Place the Wandering Jew into the new container and finish filling it with soil. Water the Wandering Jew until it runs from the bottom drain holes and place in a bright location indoors. When it comes to propagating new plants, Wandering Jew is about as easy as it gets. Even if you have never done this before you should have success starting its cuttings. When you trim to control its size, don’t throw those cuttings away but use them to start additional plants. You have two choices when it comes to rooting your cuttings and both are easy. The first thing you will want to do is obtain your cuttings. Trim off a 4- to 6-inch cutting from the mother plant and you’re ready to start rooting. Fill a 6-inch to 1-gallon container that drains with a rich, well-drained potting mix. Water the soil to settle it. Make about a 2-inch indentation in the soil where you want to place the Wandering Jew cutting. Remove the bottom leaves from the cutting where you will be inserting it into the soil. You can do this by pinching them off with your fingers. Place the cutting into the indentation and firm the soil up around it with your fingers. Water the soil again and place the cutting in the same light conditions where the mother plant was thriving. Keep the soil moist but not soggy. Roots should form in about four weeks and after about eight weeks, the Wandering Jew cuttings should form a new root system. Fill a glass jar or plastic container with about 3-inches of room temperature water. Pinch off any leaves from the section of the Wandering Jew cutting that will be submerged in the water. Place the cutting in the water and situate the container in a bright indoor location. Change the water in the container about every other week, or when cloudy. You should start seeing new roots form on the cuttings in several weeks. Once the roots are several inches long, you can repot the cuttings into a draining container filled with fertile, well-drained soil. Wandering Jew plants grown indoors are hardy and don’t have major diseases that plague them. However, rot is their biggest enemy and caused by soils that are too heavy and do not drain properly, retaining too much water. Overwatering and planting in pots that don’t drain are other causes of rot problems. When rot rears its ugly head you’ll notice the bottom stems, as well as the foliage turning black, becoming mushy and the entire plant collapses. If this happens and seems to start affecting the entire Wandering Jew plant, you can trim off healthy, unaffected sections of the stems and repot into fresh, clean soil. Since there is no saving the rot-infected sections, you will have no choice but to discard those portions of the plant. Using lightweight potting mixes that drain well and aren’t too heavy, which leads to the soil remaining too wet for too long. Some types of potting soils have a tendency to be heavy and need mixing with a potting mix, compost, coarse sand or peat. Don’t overwater your Wandering Jew. Although they prefer growing in moist soils, this doesn’t mean constantly soggy soil. Stick your finger into the soil and if the top inch is starting to become dry, apply water until it runs from the bottom of the pot. Make sure the pot you are growing your Wandering Jew in has bottom drainage. If you have placed the pot inside a decorative one that doesn’t drain, make sure to empty all the water from it after you have watered. Although indoor Wandering Jew plants are not big candidates for problems with pests, several can cause an infestation and problems. As with any pest problem indoors or outside in the garden, quick control is always the best option to keep your plants healthy. It also assures the pests do not migrate to your other plants causing even bigger problems and headaches. Aphids: Aphids come in a host of different colors and are tiny, pear-shaped, sap-sucking insects that usually congregate in large masses along the Wandering Jew’s stems. In large infestations, they can kill the plant or severely weaken it. If the infestation is small, you can wipe the pests off the stems with a moist cloth. However, if the infestation is large, you will probably have to spray the plant with an insecticidal soap or Neem, reapplying as suggested on the package. Spider Mites: Spider mites are another sap-sucking pest that if left unchecked can quickly kill or weaken the Wandering Jew. It is easy to tell if you have a spider mite problem as these tiny, white pests spin fine webbing that covers the plant. Spider mites can be the bane of houseplants so quick control is necessary. Use an insecticidal soap or Neem and spray the entire plant, reapplying as suggested on the product label. Whiteflies: Whiteflies are other sap-sucking pests that can quickly kill or weaken your Wandering Jew if not quickly controlled. They are another easily identifiable pest, as just touching the plant sends the tiny whiteflies from the plant’s foliage and into the air, hovering right above it. Control the problem with an insecticidal soap or Neem, spraying the entire plant and reapplying as suggested on the product’s label. Mealybugs: Sap-sucking mealybugs show up on the Wandering Jew as cottony masses covering the stems and crotches of the foliage. Control the problem by spraying the entire plant with insecticidal soap or Neem, reapplying as suggested on the product’s label. If the infestation is small, you can also wipe them from the stems and leaves with a damp cloth. Is Wandering Jew A Perennial? Wandering Jew plants are considered a tender, evergreen perennial. Unlike annuals, and if grown in preferred conditions with proper care, Wandering Jews should live and keep on growing for quite a few years, both indoors and outside. Why Are My Wandering Jew Plant’s Leaves Losing Their Color? If your Wandering Jew is growing in light conditions that are too low, the leaves will start to lose their color and become duller. When grown indoors and to keep the bright color on the foliage, make sure the Wandering Jew is growing in a location receiving bright light. Why Are My Wandering Jew’s Leaves Dropping? Wandering Jew plants grown in light conditions that are too low will start dropping leaves at the base of their stems. Solve the problem by moving the plant to an indoor location that is brighter. For the best leaf color and growth, they prefer an indoor location receiving bright light. Why Are My Wandering Jew Cuttings Rotting In Soil? If your Wandering Jew cuttings are rotting in soil it could be one of two things causing the problem. The soil you are growing the cuttings in may be infected with a fungus that is infecting them with rot. You can solve the problem by planting the cutting in a sterile, well-drained potting mix. Another cause might be the soil is remaining too soggy and the container doesn’t drain. Make sure you are using a soil that drains well and doesn’t remain soggy, do not overwater and use a container with bottom drainage. Water the cuttings when to top inch of soil feels dry to the touch. Can I Root Wandering Jew Cuttings In Water? Wandering Jew cuttings root quite well in water. Fill a container with several inches of water, remove any leaves that would be submerged and stick the cut end into the water. Fill the container with fresh, clean water about every other week. You should start seeing root form on the cuttings in several weeks. Once the roots get several inches in length, you can repot the cuttings in a draining container with rich, well-drained soil. Are Wandering Jew Plants Toxic? When it comes to humans, Wandering Jew’s sap can cause skin irritation in humans that are allergic to it. Therefore, it’s best to wear gardening gloves when handling or pruning the plant. The plant is listed as toxic to dogs and cats, due to its tendency to cause skin allergies and dermatitis. To keep your pets and children safe, make sure you situate your indoor Wandering Jew out of the reach of both. If you’d like some indoor plants that are non-toxic, check out this article which discusses my favorite non-toxic houseplants. Do Wandering Jew Plants Produce Blooms? When grown outdoors, Wandering Jews produce small, three-petaled, lavender flowers, but the plant rarely ever blooms grown indoors as a houseplant. Can I Grow Wandering Jew Outdoors? Wandering Jew plants grow as perennials planted outdoors in frost-free climates, however, those with cooler weather can plant outdoors and treat it as an annual. What’s The Growth Rate For Wandering Jew Plants? When grown in proper conditions with proper care, Wandering Jew plants are considered fast growers. 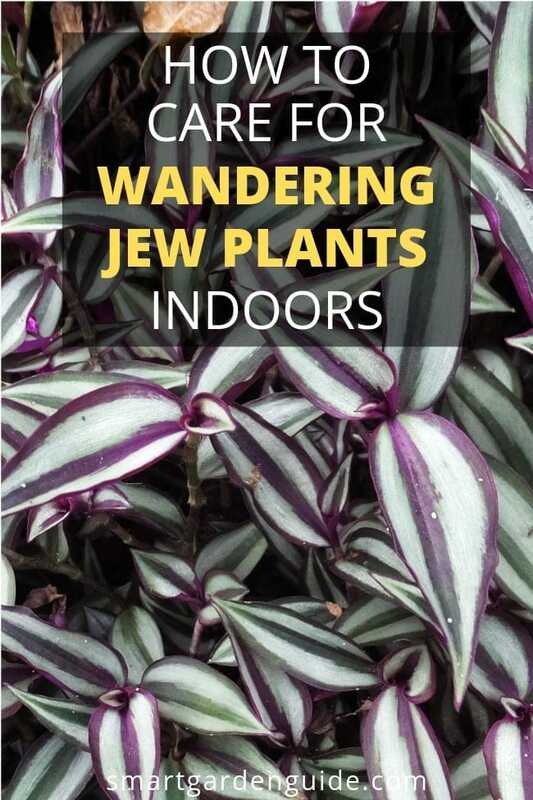 Many thanks for reading my guide to Wandering Jew care. This really is a great indoor plant for your home. Beautiful and easy to care for, its hard to go wrong. 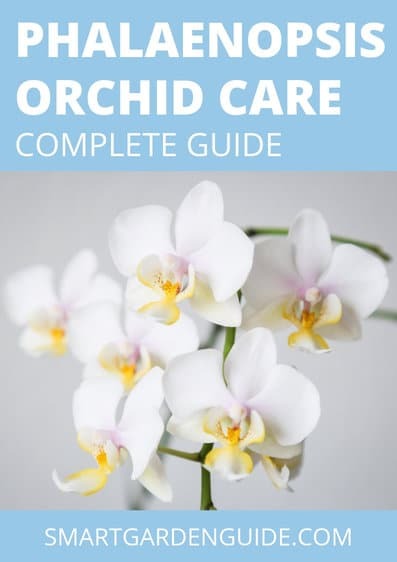 If you want more help with looking after your indoor plants, check out the rest of my articles, and head over to my resources section, where I have some great recommended resources, books and equipment to help you grow healthier, more beautiful plants.